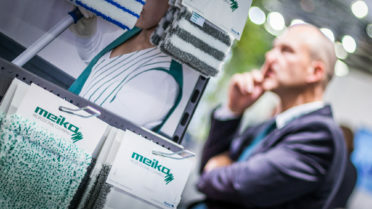 meiko Textil GmbH has been successful in the market as experts in cleaning solutions for over 45 years. What started in Franconian Konradsreuth as a small undertaking in 1971, quickly grew into a success story. With its sophisticated solutions, meiko currently impresses customers from over 50 countries around the world and is one of the leading German companies in the field of professional cleaning. Together with Interclean Gulf, meiko is now offering its sophisticated product solutions to the Arab market. “We have the same values and demands for quality, service and reliability”, adds Ashok K Dogra, founder of Interclean Gulf and long-time owner of the company, Marble masters. And clients appreciate this. The service staff of Marble masters clean, amongst others, a range of well-known shopping centres, including the Dubai Mall. In use on-site: The meiko Micro BRUSH Pad, an effective solution for floor cleaning. Thanks to its excellent abrasive power, it is particularly effective and removes dirt, even from heavily structured and uneven flooring. The pad retains its consistently high cleaning performance over large surface areas and uses little in the way of cleaning agents. This saves both time and money. Because, while other pads need to be changed out or cleaned, the Micro BRUSH Pad just keeps going. It can be used on PVC, hard and stone floors, as well as all types of safety flooring. The cleaning is so thorough that it restores the anti-slip properties of safety tiles. It is therefore ideally suited for basic, interval and maintenance cleaning. meiko appreciates their partner’s years of experience in professional cleaning. “Our partner knows the market and the demands of customers. This is a huge competitive advantage that we want to take advantage of together. Based on this experience, we have put together a product range that we will distribute here”, says Albert Meisel, contact for global export at meiko. Despite their international outlook, meiko continues to produce a large amount of its products in Germany. “This is how we can guarantee our high quality standards”, explains Reiner Kleemeier. 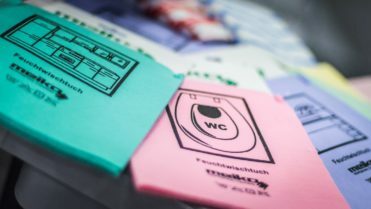 The company is also proud to manufacture a microfibre cloth in Germany. The knitted “Micro Plus” microfibre cloth bears the “Made in Germany” seal of quality. Part of the surface and floor cloths made of 100% viscose and viscose/polypropylene are also certified to OEKO-TEX® Standard 100 and thus meet the strict requirements for textiles worn used on or next to the skin, e.g. the universal cloth, moist wipes and Fast Wish, the practical disposable mop. Non-woven cloths from meiko are manufactured in Germany, and from there are shipped around the world. It is important that they do what they promise. Which is why meiko uses various procedures during manufacture and finishing to guarantee that the products achieve optimum results. For example, for non-woven floor cloths or the all-purpose cloths, the material is processed during manufacture to make it particularly compacted. This makes it durable and able to absorb a lot of water. Non-woven cloths such as the moist wipes, the universal cloth or meiko Color are given a polyurethane coating. This makes their structure particularly smooth. This in turn allows dust to adhere well to the cloth and ensures streak-free results. The sponge-like texture makes it easy to use on all surfaces. They are also more robust: The cloths survive more washes and can be used for longer than other comparable products. Whether it is microfibre fleece, cotton, polyurethane or an antibacterial coating: To ensure meiko cloths are powerful in combating dirt but still gentle on surfaces, they are specially developed for various application areas and surface structures. This is how meiko guarantees you get the best results easily and efficiently. 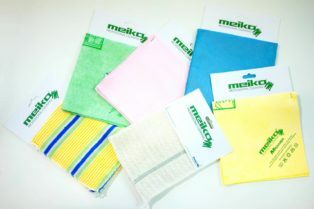 meiko cloths and mop systems are available in red, blue, yellow and green, in line with the colour code system. This makes assigning them trouble-free. The “Wischfix” viscose cloth has been developed for short-term use and guarantees excellent cleaning results. Its soft texture makes it pleasant to use. It is tear-resistant and ensures cleanliness without streaks or lint. This makes it particularly suitable for use in the healthcare industry, as well as in catering and industrial manufacturing. The Micro 3000 can be used universally: With its voluminous, hydro-entangled microfibre fleece, it is particularly non-slip and absorbent. It is also very long-lasting and can survive over 100 washes at up to 95 °C, even with the addition of acids, alkalis and disinfectants. It cleans dry and damp surfaces, as well as smooth and open-pored surfaces quickly and without leaving streaks. When cleaning, it is important to be able to meet high requirements for cleanliness and hygiene while at the same time being able to save on both time and money. This is why the meiko product range meets high standards in terms of hygiene and cost-effectiveness. “We know the standards, norms and requirements. Our goal is to develop solutions that help our customers to optimise their work processes and facilitate their tasks”, explains Albert Meisel. Customers come from the fields of building cleaning, healthcare, the hotel and catering industry, as well as industrial manufacturing, and have different requests and ideas accordingly. This is why meiko works closely with them, as well as with specialist trade partners. An important development that has resulted from working with customers is the Universal Cleaning Pad, a cleaner alternative to the conventional scouring sponge. The combination of microfibre and polypropylene bristles mean that dirt does not stand a chance. Thanks to its handy shape and internal seams, it penetrates into corners and also cleans hard to reach edges. 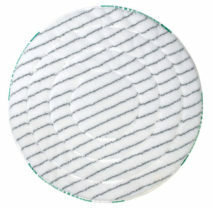 The cleaning pad comes in five variants, is washable and reusable. 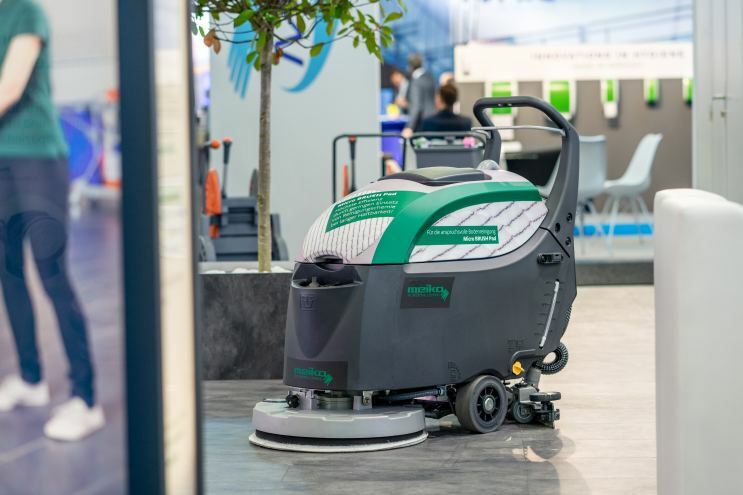 When it came to cleaning floors, meiko was an early pioneer and, thanks to cutting-edge mop technology, continues to provide tailor-made solutions to this day. 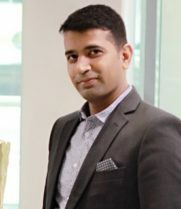 “Particularly on floors where dirt, dust and hair need to be completely removed, company decision-makers are looking for clever, high-quality solutions.”, explains Lalit Tharwani, Marketing Manager of Interclean Gulf. meiko provides different floor cloths and special mop heads. For example, the thermo-fixed floor cloth with very high moisture absorption provides a streak-free clean, especially on smooth floor surfaces. meiko has developed “SaniCorrect” for the proper cleaning of tiled floors – particularly flagstones and safety tiles. With its double wiping power and high water absorption capacity, it effectively removes dirt: The red, robust bristle strips penetrate into the recesses of tiles and gaps. At the same time, white microfibres clean deep into the open-pored surface. 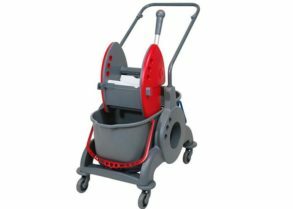 meiko also has a large selection of cleaning trolleys. There are special trolleys for the hotel industry, as well as for the hospital and care sector: Each model provides ample space, making it easy to store and quickly access all utensils – for work that is effective and time-saving. meiko’s new premium range is called 4T HighSelect car: This trolley series impresses with its compact, round shape and modern design. The range is manufactured from plastic reinforced with fibreglass. This ensures items are particularly sturdy, unbreakable and durable. The associated vertical press was designed to make operation as convenient and time-saving as possible. The 4T HighSelect car range is available in four different versions. Ideal for daily maintenance cleaning, even in buildings with small rooms and high standards. And this in turn requires a partner you can rely on: Interclean Gulf advises its customers on suitable products and works together with them to create tailored solution packages. They are well-supported in their work processes with a carefully coordinated selection of products.